up in Saint-Jean-de-Losne in early October. We covered just over 800 kilometers (500 miles) and we went through 68 locks. Our route is highlighted in orange on the map above. 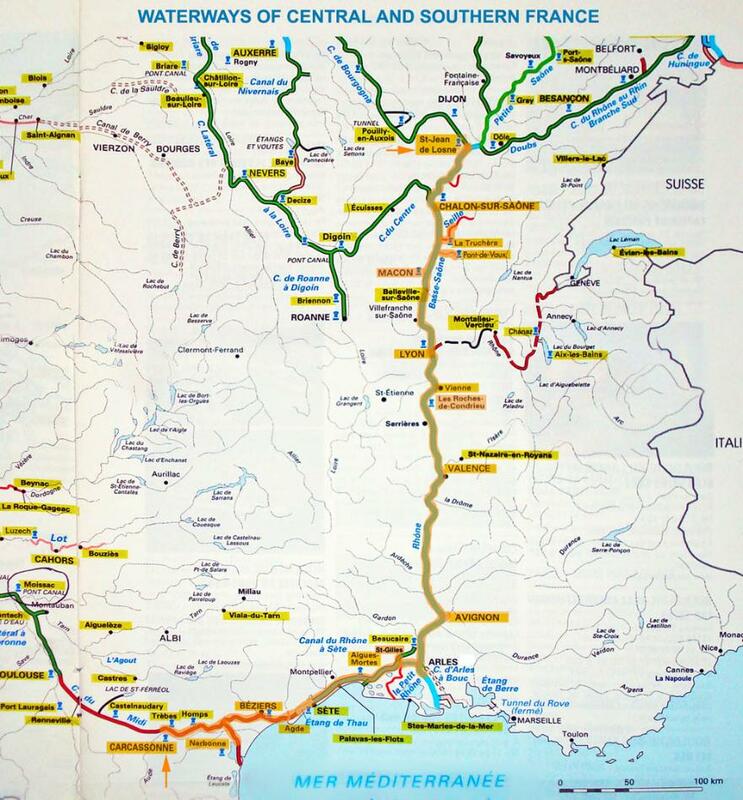 The Navigable Waterways of Southern & Central France. Our 2012 cruise from Carcassonne to St-Jean-de-Losne is highlighed in orange. but later decided to keep the original AMAROK name. planning over the winter to decide where the AMAROK goes next.